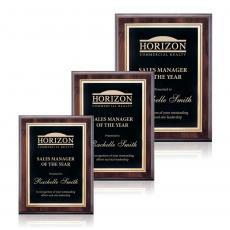 Give your employees, coworkers, supervisors, or team the recognition they deserve with our fine selection of wall and free-standing plaques. 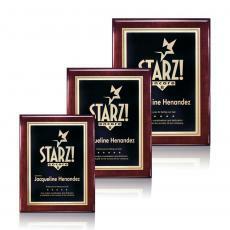 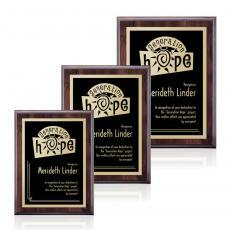 Awards.com has over 300 customizable award plaques available in different shapes and styles that will be the focal point of any room. 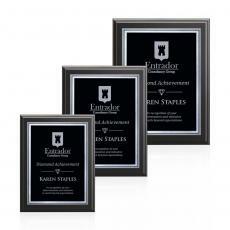 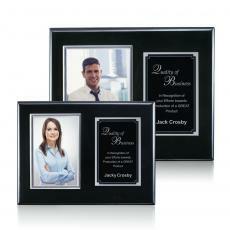 Choose from master plaques for ongoing awards, such as employee of the month, or single plaques to recognize individual achievement. 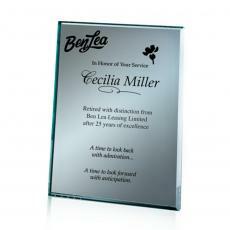 Custom engraved plaques come in a variety of materials, such as glass, wood, metal, stone, and acrylic. 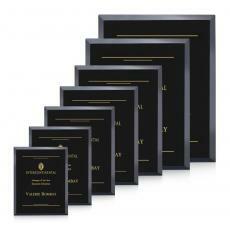 We recommend sorting through our selection for traditional, memorial, and photo plaques as well. 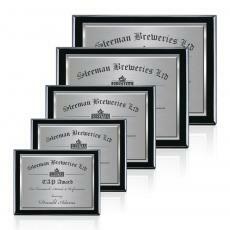 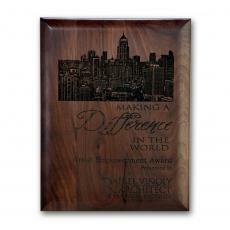 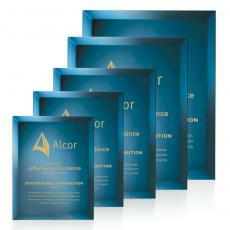 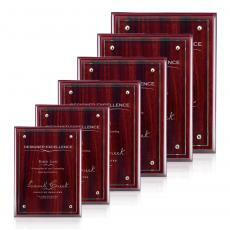 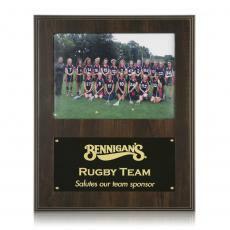 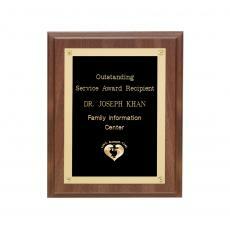 Whatever plaque you choose, Awards.com can add custom engravings to any of the items that interest you. 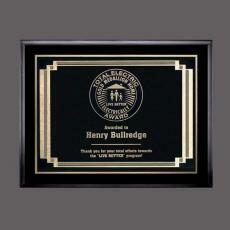 Our advanced engraving services can place your organization’s logo directly onto the plate. 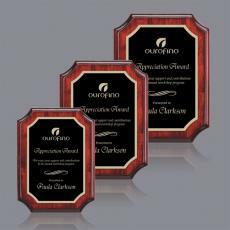 You can also select from three different fonts to write the recipient’s name, award title, and any other information you may want to include. 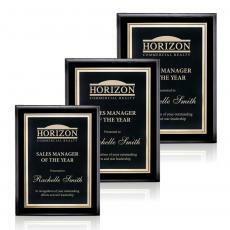 Order yours online today or contact one of our friendly associates at 1-800-4-AWARDS (800-429-2737) for further assistance. 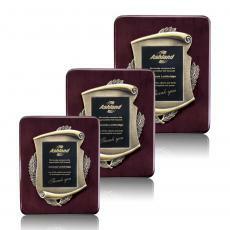 $36 - $66| Sizes: 7"x9", 8"x10" & 9"x12"
$70 - $105| Sizes: 7"x9", 8"x10" & 9"x12"
$78 - $90| Sizes: 8"x10" & 9"x12"
$48 - $66| Sizes: 8"x10" & 9"x12"
$35 - $50| Sizes: 6"x8", 7"x9", 8"x10" & 9"x12"
$45 - $92| Sizes: 5"x7", 6"x8", 7"x9", 8"x10" & 9"x12"
$90 - $110| Sizes: 10.5"x13" & 9"x12"
$49 - $132| Sizes: 11"x14", 12"x15", 5"x7", 6"x8", 7"x9", 8"x10" & 9"x12"
$52 - $180| Sizes: 10.5"x13", 12"x15", 7"x9", 8"x10" & 9"x12"
$40 - $70| Sizes: 10.5"x13", 7"x9", 8"x10" & 9"x12"
$90 - $250| Sizes: 10.5"x13", 12"x15", 7"x9" & 8"x10"
$70 - $210| Sizes: 10.5"x13", 12"x15", 16"x20", 7"x9", 8"x10" & 9"x12"
$90 - $250| Sizes: 10.5"x13", 12"x15", 7"x9", 8"x10" & 9"x12"
$74 - $120| Sizes: 7"x9", 8"x10" & 9"x12"
$70 - $150| Sizes: 10.5"x13", 12"x15", 7"x9", 8"x10" & 9"x12"
$115 - $190| Sizes: 10.5"x13", 12"x15" & 9"x12"
$90 - $130| Sizes: 7"x9", 8"x10" & 9"x12"